Society often brainwashes us into believing that ‘greatness’ is reserved for a select few, while the rest of the kids are supposed to watch them enjoy all the glory. At MathSmart Tutoring, we believe EVERY child is worthy of greatness – and yours is no exception. The thing is, your child’s time between classroom walls isn’t always enough to produce the results you’re after. That’s what makes hiring an elementary math tutor or private algebra tutor so important. If you’re searching for the best math tutor in Bethesda, the search stops here! MathSmart is committed to raising the leaders of tomorrow, today. 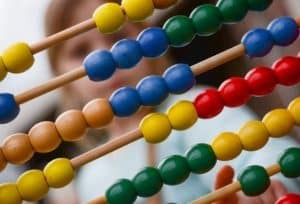 If your little one is battling to bring their grades up, or if they lack confidence, motivation, and self-esteem, our elementary math tutors can help. When it comes to your child’s education, your demand is our command. What does it take to be a top math tutor in Bethesda? It’s not only about being good at math. Tutoring is an industry of its own, and it’s critical for private algebra tutors to have an insatiable PASSION for seeing grades rise. That’s why we do things differently from anyone else in the industry, taking on the role of ‘student’ to put our educators to the test. At the end of the day, our elementary math tutors and private algebra tutors are second-to-none – meaning your child’s education is in safe hands. But – don’t take our word for it. Read our reviews to see what our happy parents have to say about their experience with MathSmart!